Here is a lesson for many. One benefit I have of spending so many years working at Microsoft is be very careful what you put in e-mail. (note I left Mircosoft in 2006) Assume anything you put in writing could be read by the DOJ. If you want to have a private conversations don't use e-mail. Read the following to understand the risks of thinking e-mail is private. Wikileaks is making news disclosing for the public what people assumed were private conversations. WikiLeaks is not affiliated with Wikipedia or the Wikimedia Foundation. WikiLeaks is an international non-profit organisation that publishes submissions of private, secret, and classified media from anonymousnews sources and news leaks. Wikileaks is so popular it now has imitators. Red Tape discusses an example. Do WikiLeaks imitators put your e-mail at risk? Imagine having every e-mail you've written published by hackers for the entire world to see. You don't have to stretch your imagination very far -- it's already happening to some folks. Here an example of what has caused a huge embarrassment for security company. Which was so embarrassing the CEO just resigned. The CEO of HBGary Federal, Aaron Barr, has stated that he is resigning his position. In a telephone interview with Threatpost, Barr said that “I need to focus on taking care of my family and rebuilding my reputation ... It's been a challenge to do that and run a company. And, given that I've been the focus of much of bad press, I hope that, by leaving, HBGary and HBGary Federal can get away from some of that. I'm confident they'll be able to weather this storm." 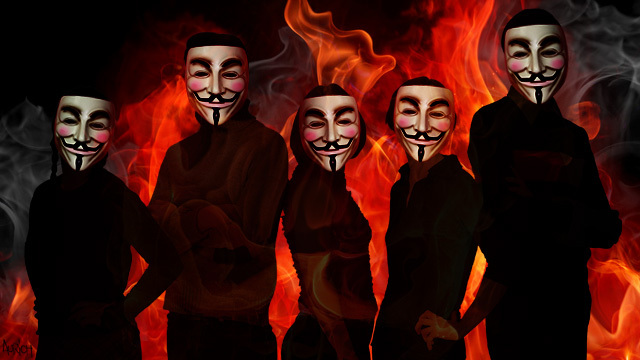 Here is a detailed post on Anonymous's method to break into HBGary. Hope you think about your e-mail conversations in a different way. All my business friends know anything really private we don't put in e-mail.